Welcome Home to Highland Avenue! 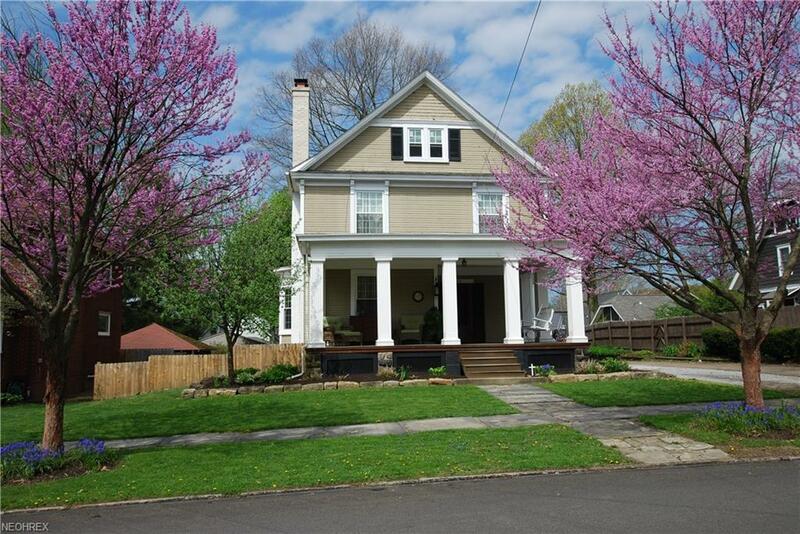 Charming 4-5 Bedroom, 1.5 Bath home has an Abundance of Character from the Moment you Walk onto the Front Porch. The Front Porch offers Mahogany Wood Flooring and Composite Columns and a Swing. You will be Awestruck by the Hardwood Floors that Welcome You the Minute You Step Inside the Front Door to A Large Foyer. The Large Formal Living Room has Newer Carpet and a Wood Burning Fireplace. You can Cozy Up and Read a Book in the Adorable Window Seat. The Formal Dining Room has Hardwood Floors and an Ornamental Fireplace. The Kitchen is in the Back of the home along with a Half Bath. Upstairs on the 2nd Floor you will find Hardwood Floors in the 4 Bedrooms and a Full Bath. The 3rd Floor was Finished for another Bedroom and not included in Sq Ft. Updates includes all New Windows (2015-2017), HWT 2016, Chimney Repair 2017, Interior Painted 2014, Gutters 2015, Roof 2005. Carriage House in Back could be converted to a 2 Car Garage. Call Today to set up your Private Showing.